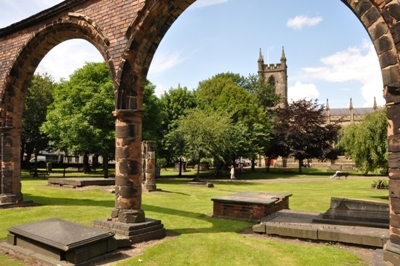 Stoke-on-Trent is rarely described as a historic city, but in fact has some historic buildings, towns, waterways and housing areas of exceptional quality. This is important to the City, not just because historic buildings and places are attractive in their own right, but because they help to make the city more attractive to investors and as place to live or to spend leisure time. Conserving the City’s heritage is therefore important if we want Stoke-on-Trent to become a more prosperous place. The City has 196 listed building entries (some of them containing multiple buildings) and 24 conservation areas. The following pages link to questions and information about local listed buildings and conservation areas. These have been developed to help people living or owning listed buildings or properties in conservation areas to understand what that means and where they can obtain further advice. It may also be useful to other people with an interest in local heritage.